Why does the Republican Party continue to stand behind Trump when his approval rating is at 40 percent, he just bowed down to Putin, and it looks more and more like he is going to cost Republicans their control of the House of Representatives? Why did the Republicans allow him to run in their party’s primary in the first place, and why did they use their party mechanisms to support his candidacy in the general election? In their book How Democracy Dies, Steven Levitsky and Daniel Ziblatt point out that demagogues often need the support of legitimate political parties and elites to legitimize them. Hitler was appointed chancellor by president Paul von Hindenburg. Hugo Chavez had charges (stemming from his attempted 1992 coup) dropped by then-president Rafael Caldera in 1994. Caldera didn’t think Chavez would ever win a presidential election and was sadly shocked when he did in 1999. In 2012, the Republican Party candidates courted Donald Trump’s endorsement. Mitt Romney ultimately accepted it. Romney came out against Trump during the 2016 election. Romney said (on Twitter) that he wouldn’t have accepted Trump’s endorsement in 2012 if Trump had said the kinds of things he said while running for president. But two years later, Romney accepted Trump’s endorsement (on Twitter). Trump had been introduced to the professional conservative political movement at the Conservative Political Action Conference in 2011 when the gay Republican group GOProud invited him to speak. Trump would be invited back to speak at CPAC in subsequent years, and he would launder tens of thousands of dollars through his fraudulent foundation to give to CPAC. 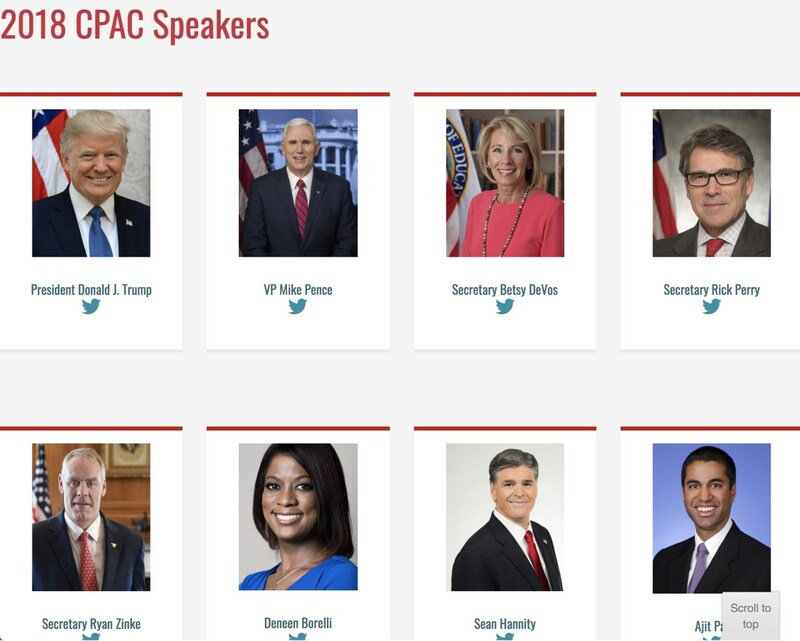 Most of the Trump administration is invited to speak at CPAC Trump PAC. They all thought they were going to get something out of the assholes they supported. They all ignored the warning signs because they were greedy for power. They thought the demagogue was going to serve them. In the end, they were the ones being used by the demagogue.